Old Pecos Foods products are made in Glorietta, N.M. with love and care. There are several unique varieties for your dining pleasure. The company started back in 1998. We take pride in making our products and we guarantee 100% satisfaction. 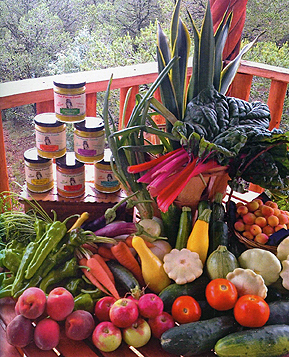 We have great tasting gourmet southwestern style products you can enjoy. All natural mustards and chile sauce.